Big Wheel Building: Gauley Fest. 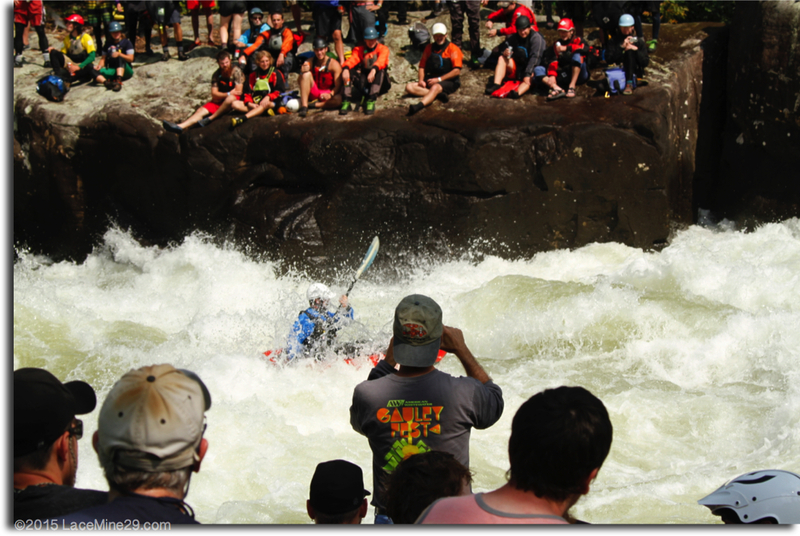 Ever since 1983 the Upper Gauley River below Summersville Dam has been the site of an ever-growing celebration of whitewater and river stewardship. 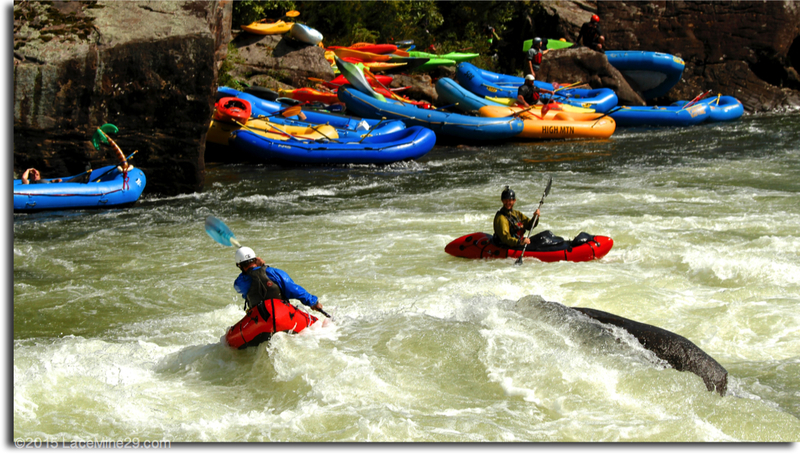 Paddlers of all shapes and boats of all sizes congregate here on the 3rd weekend of September to challenge the Gauley's "Big Five" while raising funds for American Whitewater. Last fall I joined Doom, Ben, Luke, and Wyatt for a whirlwind West Virginia weekend. 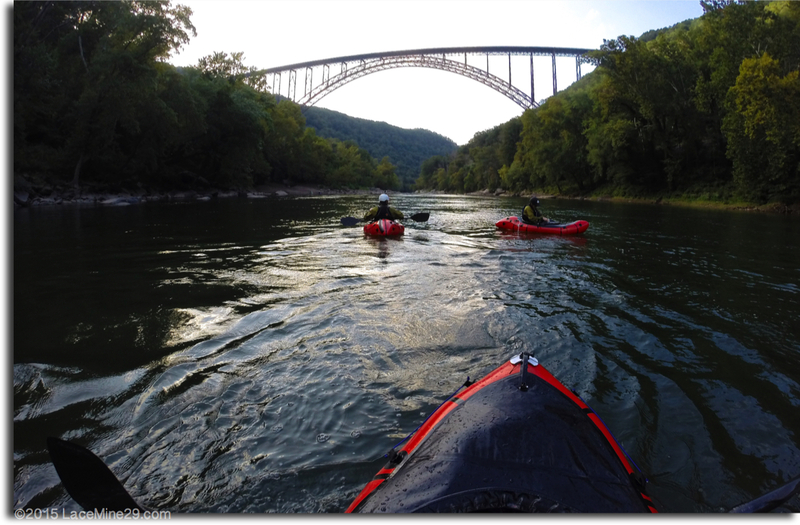 We flew in with boats, strafed Mal-Wart for a minimal booth consisting of EZ-UP, lawn chairs, a few tables, and an adequate supply of snacks, then spent the weekend paddling the Upper Gauley and New River Gorge. AW's Kevin Colburn getting jiggy with his new Alpackalypse at the Fayetteville Station wave train. Each of the Big Five rapids had literally hundreds of people spectating--some were eddied-out boaters, others had hiked in for the show. 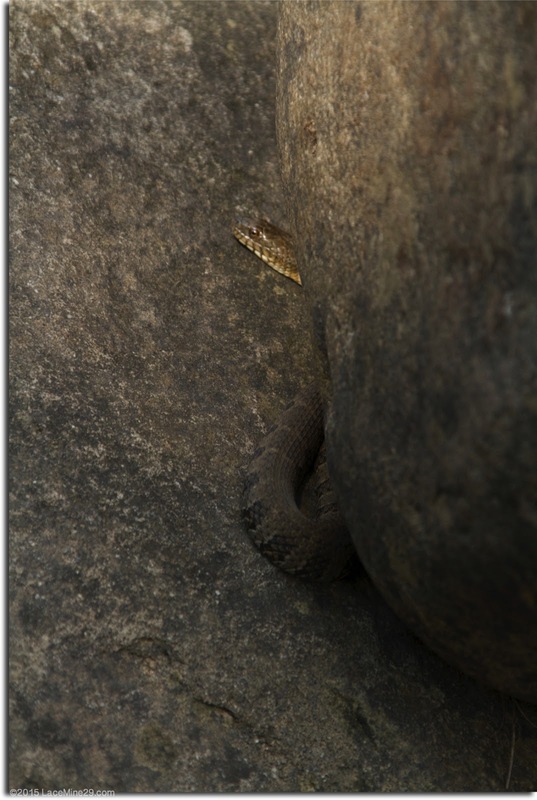 I'm more used to going days and tens of river miles in between people sightings. Below, Doom dropping into the coliseum at Pillow Rock. Ben Phillips scouting yet another wave to surf. Doom, buried in Iron Ring. Where the Gauley seemed like equal parts boating, carnival, and shitshow, the New River Gorge, below, felt virtually deserted. 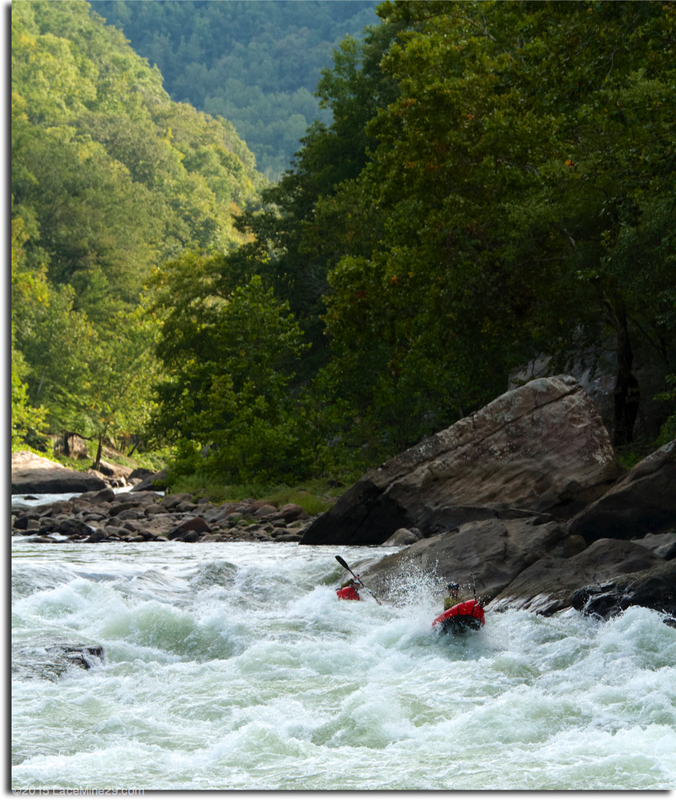 Probably because it always has water, so people save it for when the Gauley isn't releasing. 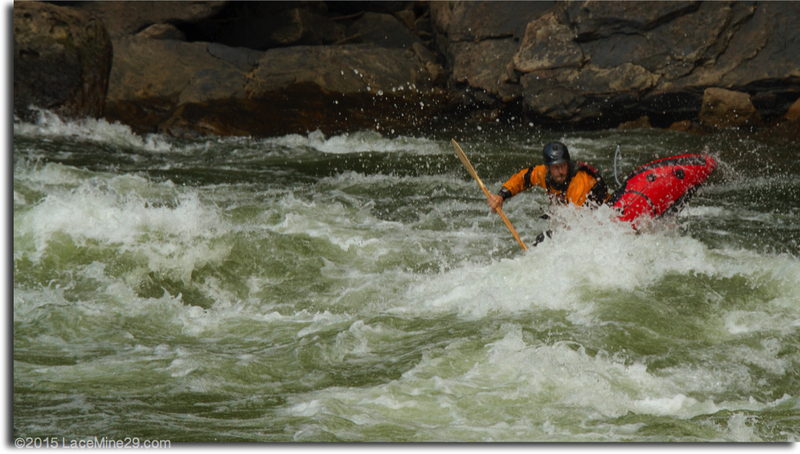 Below, Luke Walker and Ben getting tossed around in the Middle Keeney rapid. Suave and stylish Wyatt Roscoe caught in the act of dislocating his shoulder. Pillow Rock tailwaves, with a small glimpse of 'the scene' beyond. 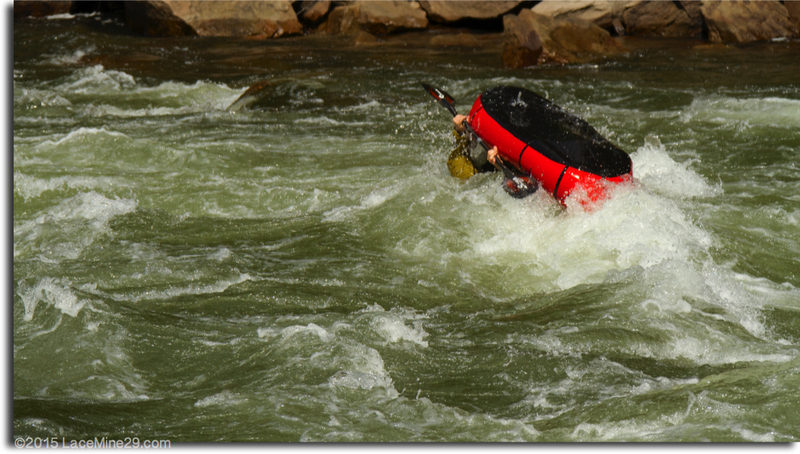 Wyatt and Luke bumped into an old friend and her boyfriend, whom took on the unenviable task of leading us down the Upper Gauley. That task is undesirable because of the sheer quantity of places you can't see and can't be--scores of sieves and caves. 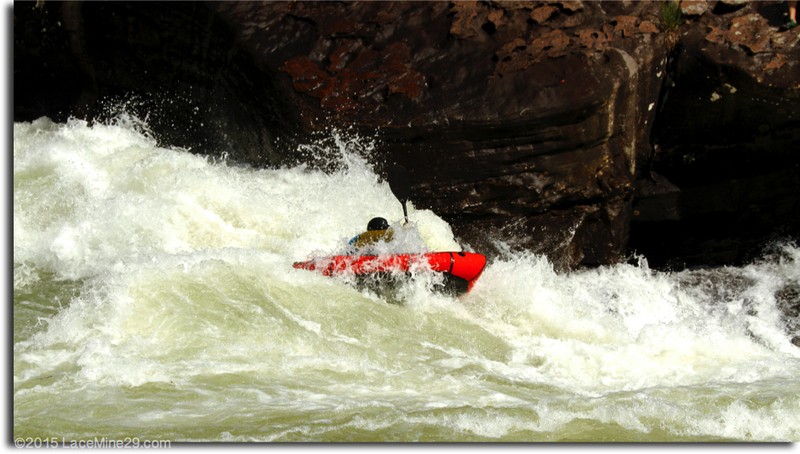 The typical scenario would have them leading us into a setup eddy, sharing verbal beta while watching a stream of other boaters drop in, then they'd look for an opening to wedge our group into and drop in themselves. 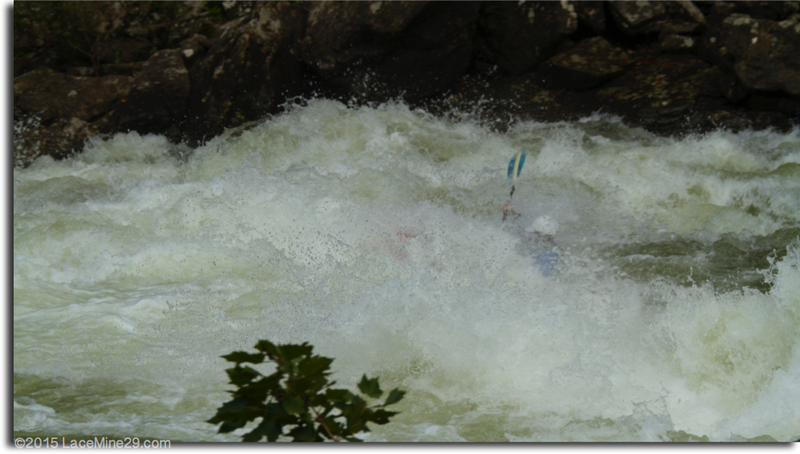 Barring my hole ride and swim at Insignificant, Josh and Emily safely ushered 5 guys (that had never paddled an inch of this river) down without incident. "Right looks good but don't." "That surf wave looks irresistible, but there's a bad pin spot just below (@1:47 of the vid) that you can't avoid." "Left looks friendlier from up here, and there's a nice boof, but it feeds a cave." "This might be the last time I bring my playboat here." 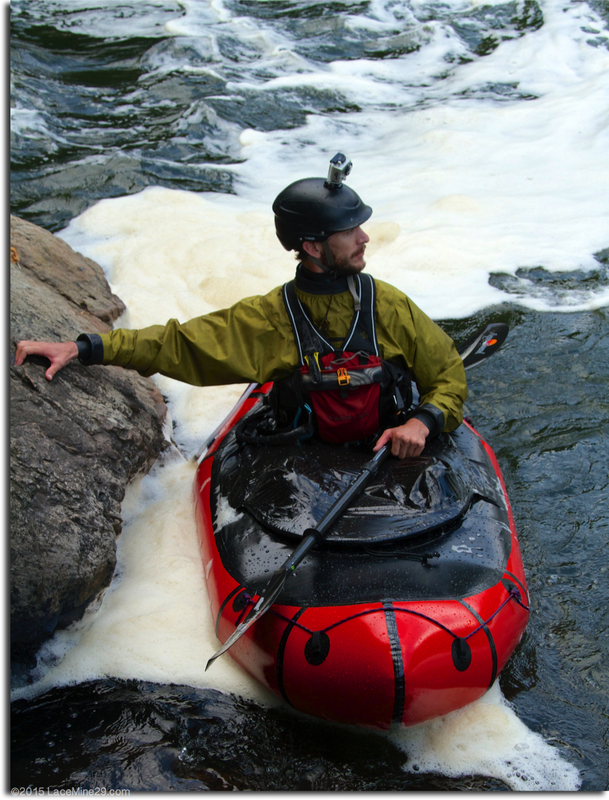 "Kayakers blame rafters for all the cigarette smoke, rafters blame kayakers for all the dope smoke. I don't think it's quite that simple." While Ben, Wyatt, and Luke were capable of taking care of themselves and often went looking for trouble instead of taking the prescribed 'safe line', Doom and I were in a bit over our heads and benefitted greatly from Josh and Emily looking after us. 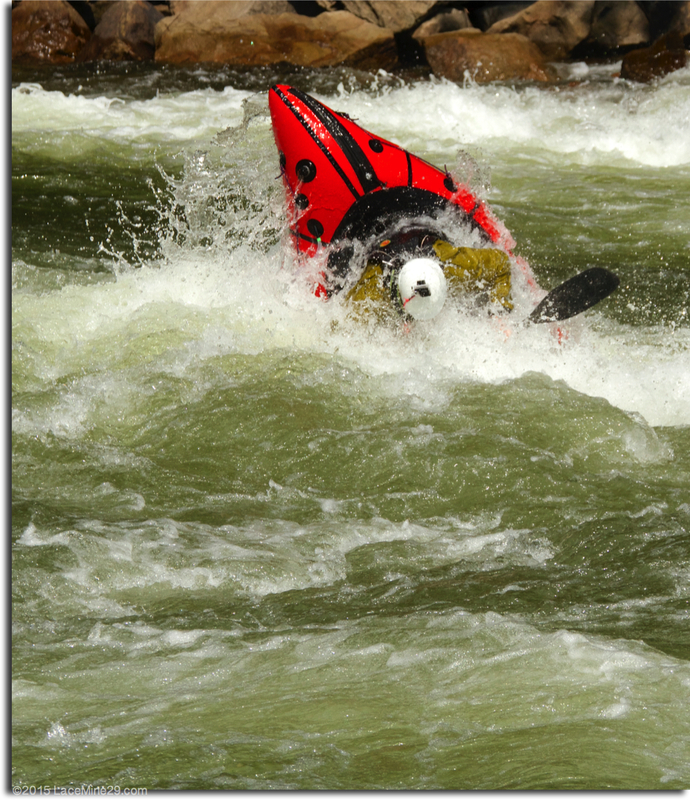 Below, Josh leads into some in-between boogie. Wyatt, rolling up after a surf smackdown. 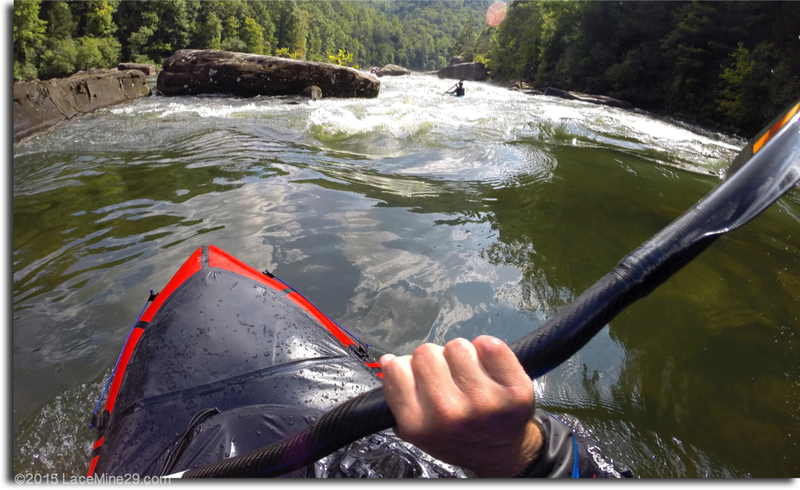 Whether in playboats or squirt boats, bucket boats or cats, Creature Crafts or packrafts, riverboards, SUP's or (gasp) kayaks, the Gauley in September is a magnet for whitewater geeks. Bonus that the congregation benefits AW with their biggest fundraising haul of the year. 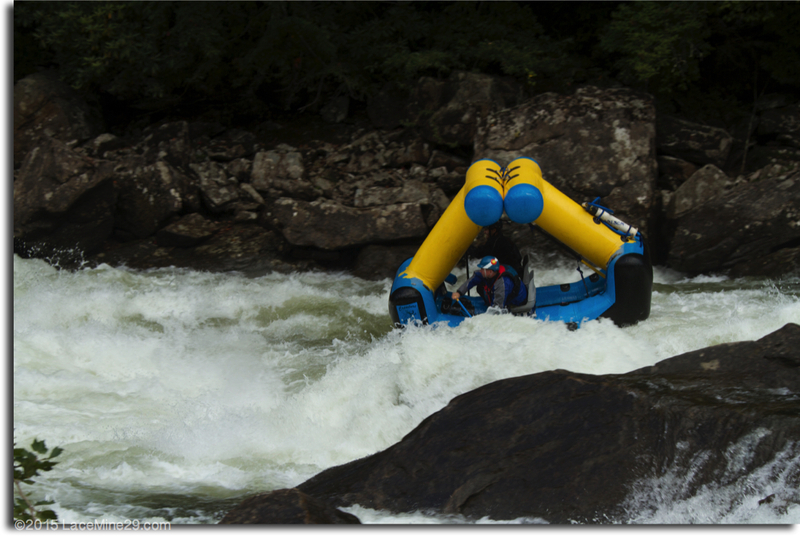 This year's Gauley Fest starts tomorrow and lasts through Sunday. 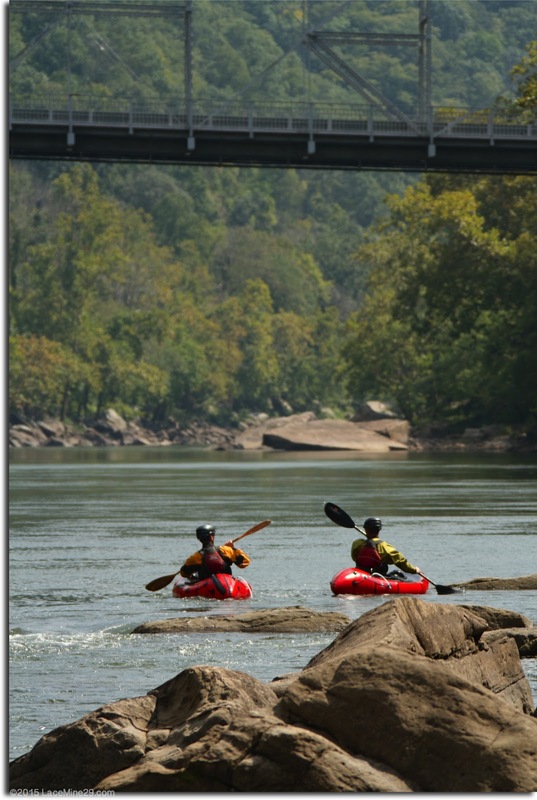 The gang from Alpacka is en route already and would love to show you their boats at the expo and follow your lines on the river. Hope to get back and be a part of it again in '16 and beyond.